Uniting internationally acclaimed jazz artists, renowned educators and jazz fans from around the globe, the 12th Annual Panama Jazz Festival will be held January 12-17, 2015 at The City of Knowledge in Panama City and the recently founded Danilo’s Jazz Club located at the American Trade Hotel in the Old Quarter of Panama City. The festival honors multi-instrumentalist Eric Dolphy, whose father was Panamanian. Among the headliners for this year’s festival is Founder and Artistic Director Danilo Pérez and his recently assembled Children of The Light Trio, featuring bassist John Patitucci and drummer Brian Blade, who is also the first Resident Artist of the Festival. Additional headliners include jazz legend Benny Golson Quartet, Ruben Blades, Miguel Zenón, Pedrito Martinez, Latin pop singer and songwriter Omar Alfanno, Brian Blade and The Fellowship Band, Chilean saxophonist Patricia Zarate with her band MapuJazz and special guest singer Claudia Acuña, and Phil Ranelin and Matt Marvuglio giving a special tribute to Eric Dolphy. German duo Uwe Kropinski (guitar) & Michael Heupel (flute) will be featured, as well as international artists and clinicians such as Richie Barshay (USA), Ehud Ettud (Israel), Tom Patitucci (USA), Jorge Perez (Peru), Kevin Harris (USA), Marco Pignataro (Italy), Ricardo del Fra (France), Orion Lion (Chile), Shea Welsh (USA), Sissy Castrogiovanni (Italy) among many others. Furthermore, the festival will host the 3rd Latin American Music Therapy Symposium, bringing music therapists from the Chile, Argentina, Panama, Venezuela, Costa Rica (among other Latin American countries) and the United States together to present on the therapeutic effects of music. 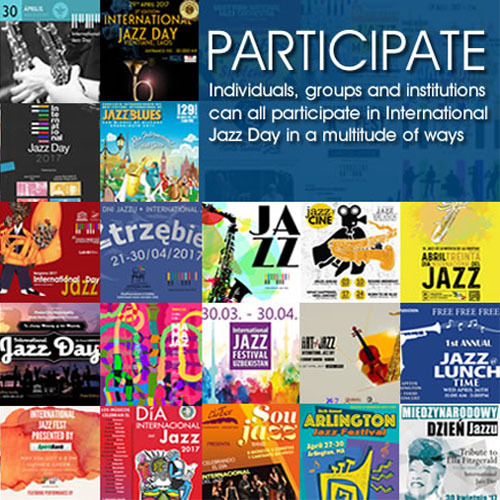 Since its inception in 2003, the Panama Jazz Festival has attracted over 220,000 jazz fans worldwide, has raised over 1 million dollars, and has announced over 3.5 million dollars in scholarships on an international level. Last year, the festival welcomed 2,000 students from around the world who participated in the educational events. Participating educational institutions include Boston-based institutions, Berklee College of Music and the New England Conservatory, which will be holding auditions for admission and scholarships. The Berklee Global Jazz Institute will hold master classes, perform social work with Panamanian youth and perform in various settings throughout the festival. Berklee will repeat last years innovative program where students will earn college performance credit for the college. In addition to these various universities, Paris Conservatory (France) and Crossroads High School (Los Angeles, CA) will be participating in this year’s events. Born in Panama in 1965, Pérez started his musical studies when he was three years old with his father, a bandleader and singer. By age 10, he was studying the European classical piano repertoire at the National Conservatory in Panama. After receiving his bachelor’s degree in electronics in Panama, he studied at the prestigious Berklee College of Music. From 1985-88, while still a student, he performed with Jon Hendricks, Terence Blanchard, Claudio Roditi and Paquito D’Rivera. Quickly established as a young master, he soon toured and/or recorded with artists such as Dizzy Gillespie (with the trumpeter’s United Nations Orchestra, 1989-1992), Wayne Shorter, Steve Lacy, Jack DeJohnette, Charlie Haden, Michael Brecker, Joe Lovano, Tito Puente, Wynton Marsalis, John Patitucci, Tom Harrell, Gary Burton, and Roy Haynes. In 1993, Pérez turned his focus to his own ensembles and recording projects, releasing eight albums as a leader, earning Grammy® and Latin Grammy® nominations for Central Avenue (1989), Motherland (2000) and Across The Crystal Sea (2008). Additionally, Pérez released Providencia, his debut for Mack Avenue Records, in August of 2010. The album was also nominated for a 2011 Grammy® Award in the category of “Best Instrumental Jazz Album.” His latest album in Panama 500 released in 2014 by Mack Avenue Records. Pérez, who served as Goodwill Ambassador to UNICEF, has received a variety of awards for his musical achievements, activism and social work efforts. He currently serves as UNESCO Artist for Peace, Founder and Artistic Director of the Panama Jazz Festival, and Artistic Director of the Berklee Global Jazz Institute in Boston’s Berklee, During the Gala of the jazz festival on January 14th, 2015 he will be appointed Cultural Ambassador of the Republic of Panama serving his second term as such. 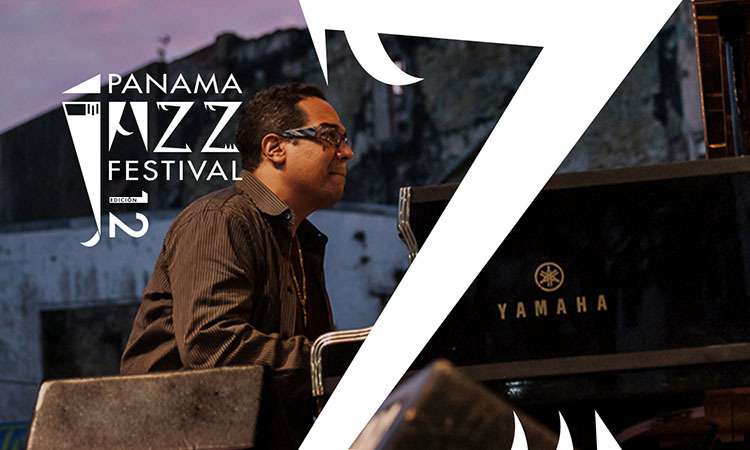 The festival is produced by Panama Jazz Productions to benefit the Danilo Perez Foundation. The festival is organized thanks to the support of Panama’s National Institute of Culture, The City of Panama, City of Knowledge, Copa Airlines, Heineken, Cable & Wireless, GPO Vallas, GECU, Casco Antiguo, Ron Abuelo, Danilo’s Jazz Club at the American Trade Hotel, Embassy of Germany, SerTV, Ricardo Perez SA, La Nota, Alamo Rent A Car, among many others.